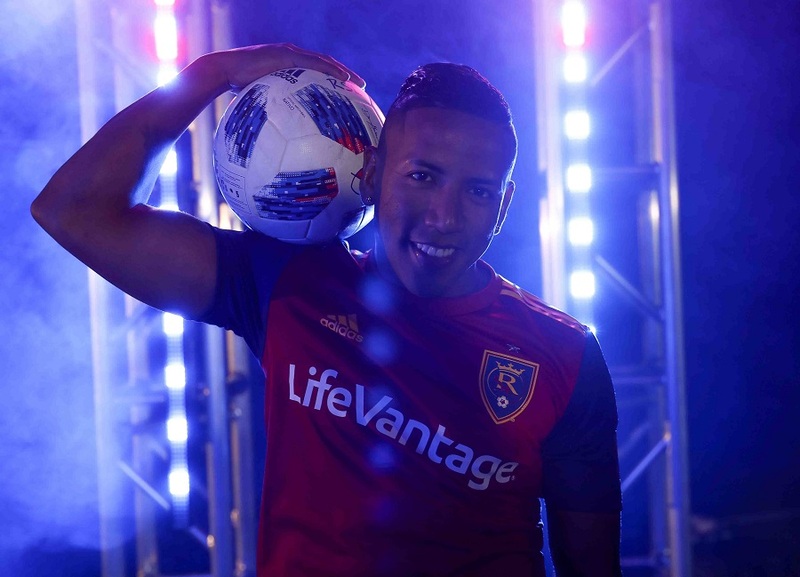 Former MLS Cup champions Real Salt Lake have launched their 2018 home jersey by adidas. 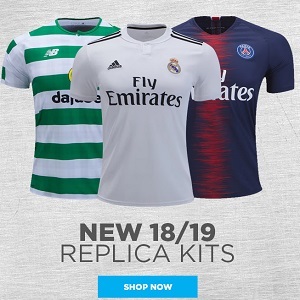 It will be on sale at World Soccer Shop, Kitbag, Pro:Direct Soccer and UK Soccer Shop along the RSL 2017/18 away kit. 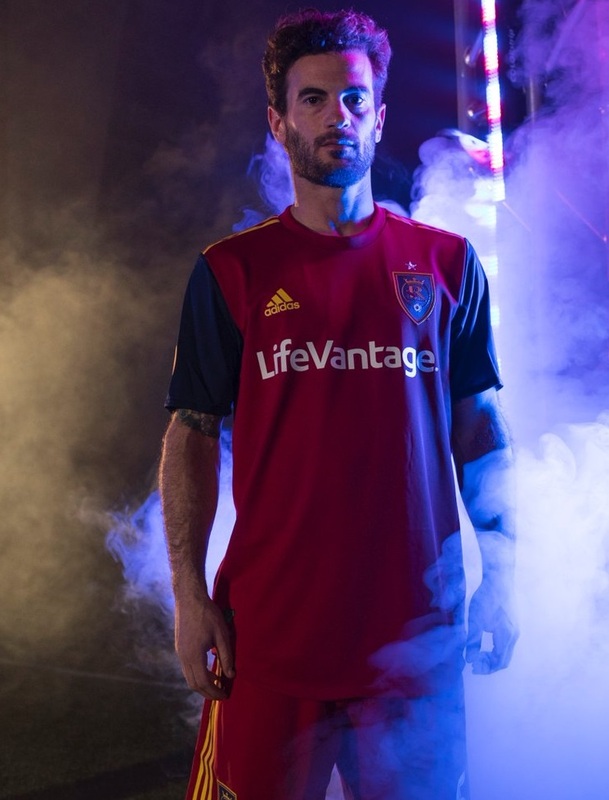 The Real Salt Lake 2018 adidas home shirt is in the club’s customary primary red. 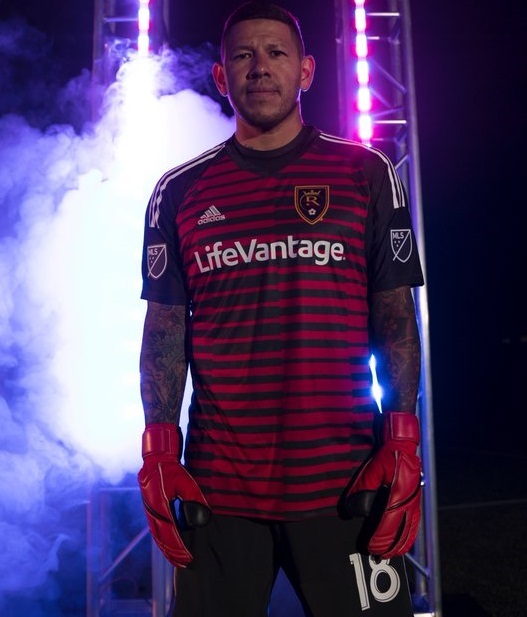 It sees the return of cobalt blue sleeves on an RSL home kit for the first time since 2015. The club’s gold appears via adidas shoulder striping and chest logo. A single star above the RSL crest celebrates their 2009 Major League Soccer championship. Eight placed finishers in MLS’ Western Conference last season, Real Salkt Lake kick off their 2018 season against FC Dallas on March 3rd.